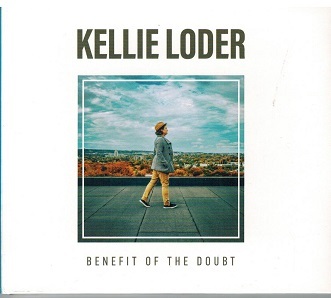 Kellie Loder, is a melodic folk/pop from Badger, Newfoundland who released her thirdalbum entitled, Benefit of The Doubt in 2017. One track entitled, Boxes was a radio hit and winner of the 2017 MusicNL Video of the Year Award. Each song on this fine album Loder shows her skillful piano, guitar playing and especially on her radiantly soulful voice. The scope and skill of these songs on Benefit of The Doubt, demonstrates why Loder is fast-emerging as a sought-after songwriter both at home and Stateside among marquee collaborators including many popular USA music artists and acclaimed fellow Newfoundlanders Damhnait Doyle and Jerry Stamp. The CD contains 10 songs of which Kellie wrote 6 of the songs and co-wrote the other 4. The album was produced by Ian Foster, Justin Gray, Daniel Adams and Kellie Loder. Many musicians helped with the music including Justin Gray, Randy Cook, Daniel Adams, Wade Pinhorn,Heather Kao, Paddy Byrne just to name a few. Kellie Loder did a great job singing her own words and music and without a doubt, her new albumwill be up for may new nominations and Awards. Atlantic Seabreeze gives this album a full 5 star rating out of 5 stars. For more information regarding Kellie Loder and her music, refer to her website, address posted above.